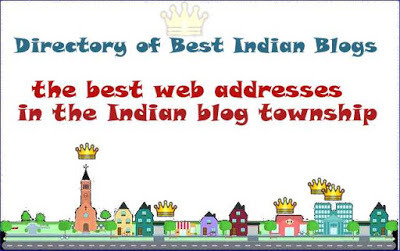 As in earlier years, the next edition of the directory of the topmost Indian blogs in English will come out on 1st June. We are already on the job and will accept entries by April end. We do not charge any fee from bloggers for adding their blog to any of our blog listings. The eligibility criteria for inclusion of a blog is the best blogs' directory are given in this section on the right sidebar: Considerations for Directory Compilation.